A good babyface effort by the Young Lions. Suzuki-Gun jump the bell on their opponents. Suzuki drags an opponent into the crowd and hits him with weapons and buries him under a guardrail but doesn't get DQed. Tag partners are randomly standing on the floor rather than on the apron. Suzuki toys with the opponent, allowing him to make a comeback via forearm exchange to set up the hot tag. Same stuff we've gotten from Suzuki-Gun this whole tournament. Their matches are just so patterned and regimented. It's not just boring at this point; it's frustratingly boring. Yano spent what felt like half of the match just standing around on the floor. He got tagged in with Suzuki down on the mat, unmoving... and immediately ran over to undo the turnbuckle instead of capitalizing on his advantage. This is a good chunk of why I hate Toru Yano. While Yano was in our otherwise serious wrestling match experienced a comic interlude, which only served to bring the intensity level down before Yano tagged out and they went into the finishing sequence, with Archer pinning Henare for the second straight show, the fourth show in eleven shows so far this tour. If we ignore all of the matches where they weren't booked against each other, Henare has been pinned by Archer four times out of six, and the other two times saw DBSJ or Taichi beat Henare. Could you not have done SOMETHING different? 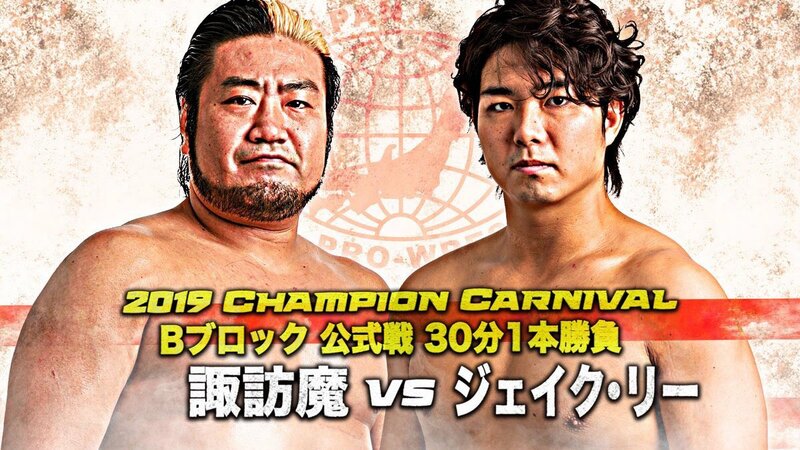 Maybe have Yano or Makabe take the pin to set Suzuki-Gun up for a NEVER Openweight Six-Man Tag Team Title match so that this match will have actually accomplished something rather other than reinforcing in our minds that Henare is a jobber? All booking this match accomplished was stretching this show out by about seventeen minutes (it went twelve, plus entrances and exits) and forced these guys to take a bunch more bumps. Was that really worth doing? A good match for the time it got, with a GREAT post-match angle. It was nothing fancy, but the execution was fantastic. Much props to all four men. Another short match that was good for the time it got. The big news coming out of this is Naito turning heel by kicking Kota in the nuts while the referee's back was turned. Naito disrespected Kota after the match as well. Bullet Club jumped the bell on their opponents. YOSHI-HASHI got worked over, including a cane shot from Jado. They then went into the crowd to set up the Count-Out Tease That No One Ever Buys�. The heels got the heat on YOSHI-HASHI but he eventually made a hot tag. Stuff happened. Goto and Hikuleo had a very good segment together at the end that makes me want to see what those two could do in a singles match. The story here was an outstanding battle of wills. Both guys worked over the head and neck, but they did a tremendous job of using facial expressions and fighting spirit and emotion to really elevate the match. 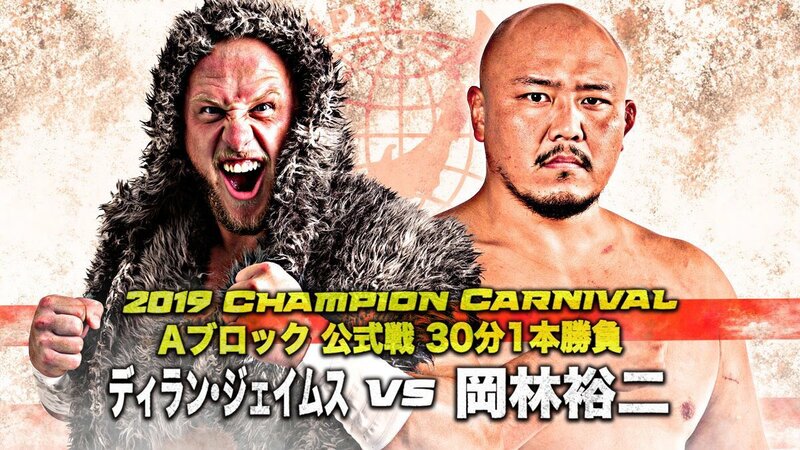 I will chalk this up to yet another example of "Ishii needs someone who knows what they're doing to be able to harness his usual fighting spirit into something that doesn't feel dull and repetitive." The weird thing is that there seemed to be some actual bad blood here (they were even spitting at each other on the previous how after nothing had really happened), and the announcers noted that Ishii was now the third member of CHAOS that Okada had to go through in this tournament. This feels like the sort of thing you don't do unless there is going to be some sort of reasoning behind it, but based on Gedo's track record, I have no faith that anything will come of it. I'm not even sure he realized he booked Okada against three CHAOS members. 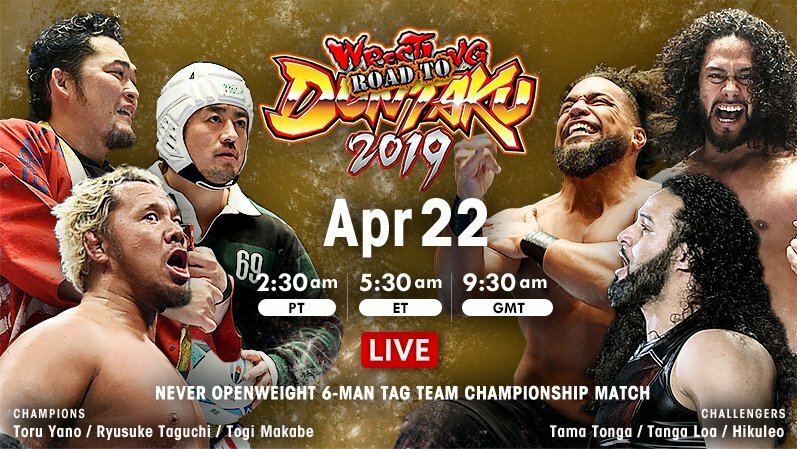 I'm not saying someone needs to turn heel, but I think Okada has kind of out-grown CHAOS at this point, and I'd like to see him leave and take YOSHI-HAHSI with him, and join up with some guys who could use the boost like the Makabe/Henare/Honma crew, and allow Ishii or Goto or even Ospreay to step up and be the top dog in CHAOS. 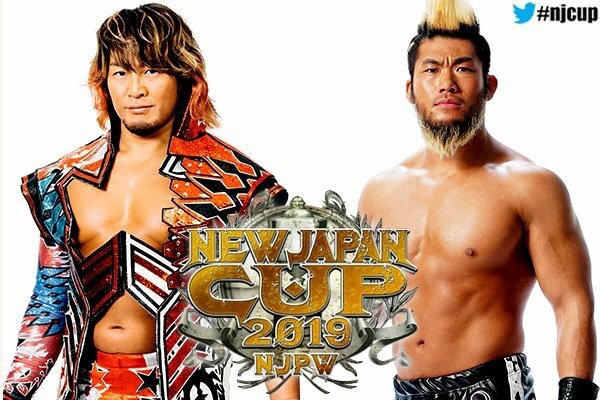 For the first time in an extremely long time, I actually felt like Tanahashi working over his opponent's knee was a real possible path to victory for him rather than something he was doing to kill time until it was time for the High Fly Flow false finish show. Unfortunately Sanada's selling of said knee totally collapsed towards the end, and they also did my much-despised spot where someone lets go of a perfectly good submission hold just to try some other move. This time it was extra stupid because not only did it Tanahashi reverse the second moonsault, but at the point when Sanada decided to release Skull End, it looked to me like Tanahashi was completely out and Sanada could have easily just held the hold in for a few more seconds and the referee would have declared Tanahashi unresponsive and awarded Sanada the match. 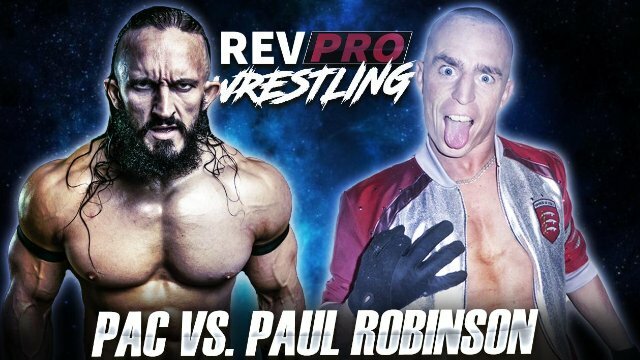 Don't get me wrong: This match was awesome. It had great drama and lots of believable nearfalls and a hot crowd. But it also had some problems that just drove me nuts, and that stuff is just easier to talk about than talking about every little spot these two did to work over the knee. This is a review, not a recap. 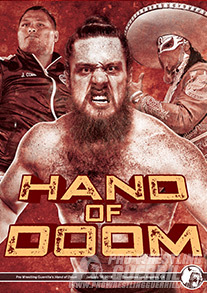 This was a GREAT show from New Japan. 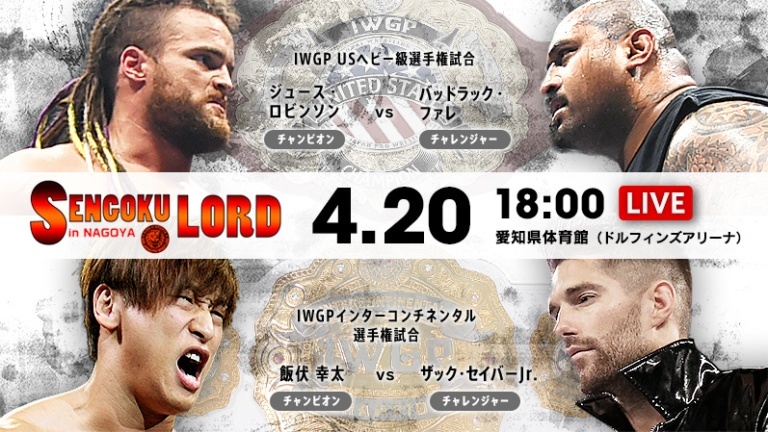 Suzuki-Gun match aside, the undercard was almost all either good for the time it got, had an important development or post-match angle, or both, while the main events both definitely delivered to the high level you'd expect of them. Hopefully tomorrow night's finals deliver to the same level that Okada vs. Ishii did.